A little work, a lot of fun! This weekend was a gorgeous day to be out on the water, but we truly only played today. Yesterday, there were land chores to do, which is never fun for either of us but a necessity. Brian took a few hours yesterday to change out the key ignition to Scout and replace it with a switch. For the past 6 years, Scout has been started with a bent key and never on the first try. It had gotten to the point that I would talk to the key gods every time I needed to start the boat, because it never was an easy production. Brian went out to the boat yesterday afternoon to kind of just look to see if it was doable and if he had all of the hardware to do the switch out. 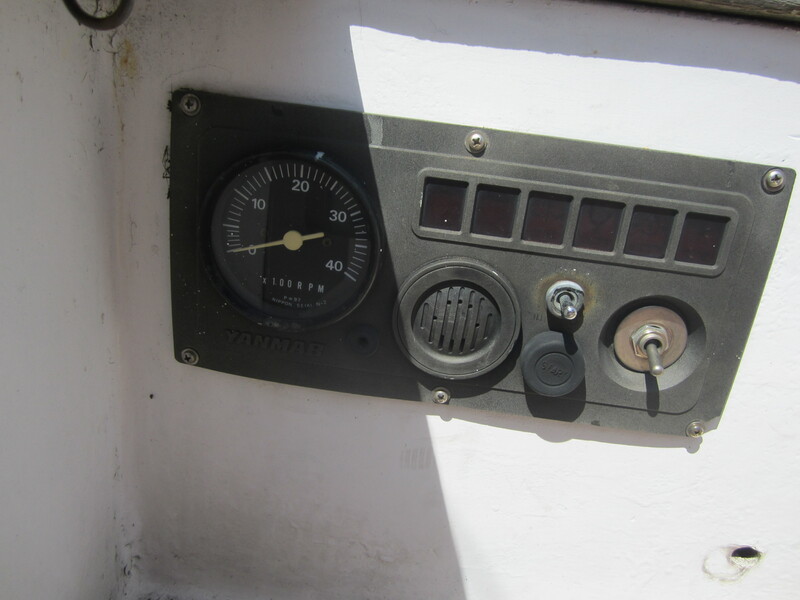 Everyone knows when you are out on the mooring to do a simple project, you never have exactly what you need to finish a simple project. Well, luck was on Brian’s side yesterday. Not only did he have everything he needed with him, the change from key to switch went without a problem. Might I just say, this was one of the best simple projects he could have done. Today, I flicked the switch and pushed the on button without selling my sole to the key gods! 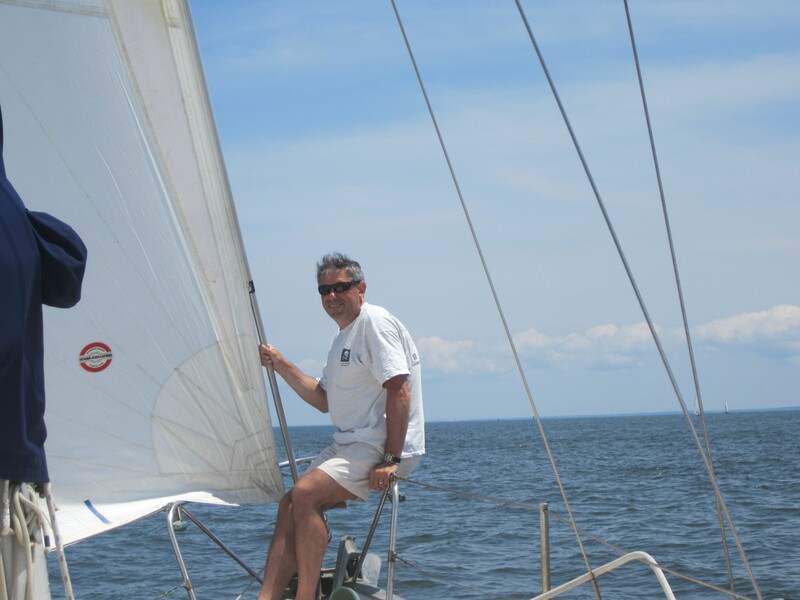 Today was originally predicted to have almost no wind, but a beautiful sea breeze picked up this afternoon and we had a relaxing fun sail on the sound. It finally feels like summer, with the Sunday racers, power boaters being power boaters, and of course, just us cruisers. It was a good practice for me with the tiller. 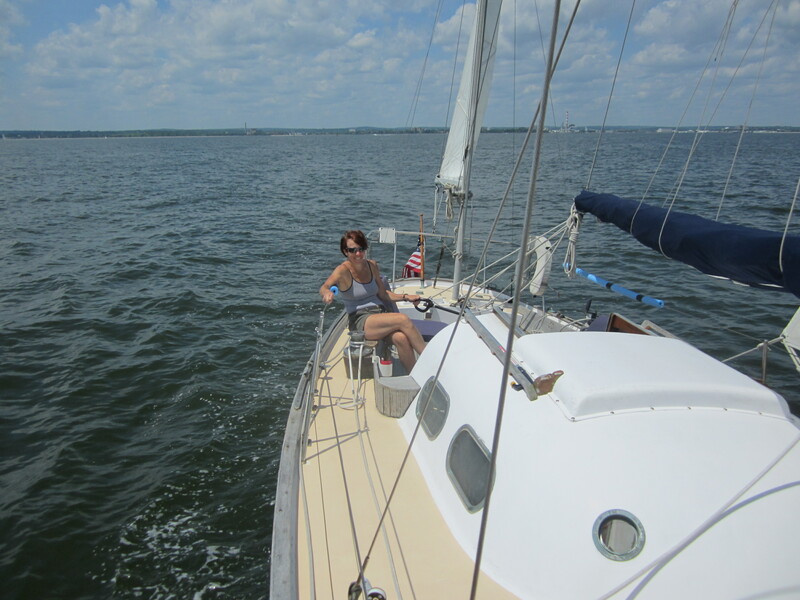 The down fall with the tiller steering is you end up sitting higher on the boat and it leaves a lot of blind areas from the headsail. The big problem with this is when Brian was sailing I couldn’t nap which is my typical M.O. Hopefully, we will have Scout pulled out for a short-haul on Wednesday. This will give us a chance to get her bottom cleaned, take some measurements of the prop for the new engine, and of course, check to see if the rudder is warped or just dirty. The rudder is most likely why it sometimes is hard to steer with the tiller. If it is warped, we need to add a new on to the budget, if it is just dirty, then it gets pressure washed and all is well. All of this fun needs to get done in about an hour at Captain’s Cove. They are the only yard that has a lift large enough to pull Scout out.